GS1 and the ECR Community Shrinkage and On-shelf Availability Group commissioned an RFID case study based on the experiences of 10 retail companies. Since the term radio frequency identification (RFID) came into common usage within the retail environment, around the end of the 1990s, it has in many respects been an idea driven more by hope and hype than practical realization. 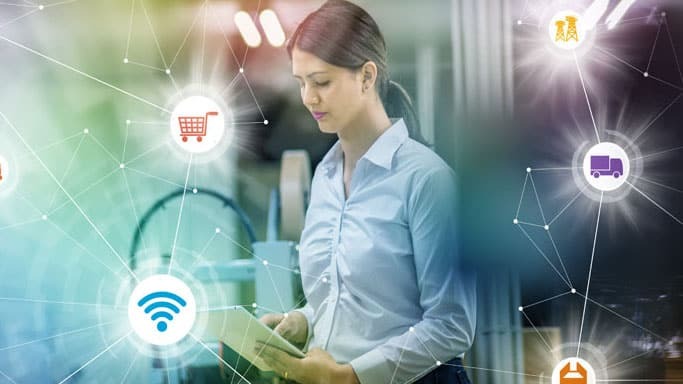 For retailers, it promised a world where supply chains would become fully transparent, with all products identifiable in real time, bringing an end to oversupply and out-of-stocks-the ultimate optimization tool, allowing retailers to truly deliver “just in time” supply chains tailored precisely to the needs of their customers. Within the realm of loss prevention, the RFID “revolution” offered much promise, with shop theft becoming a thing of the past. Thieves would be automatically identified as they tried to leave the store without paying. Similarly, problems such as returns fraud would be eliminated as the previous ambiguity around whether a particular item had actually been purchased would no longer exist—the product would “tell” the retailer its current status (bought or not bought). If we skip forward a decade or two, it becomes quickly apparent that RFID, as yet, cannot be remotely put in the same category as the Internet in terms of its impact upon the world or more specifically retailing. However, the outlook now appears to be changing fast for RFID. What has been seen in the past few years is a much more enlightened, less evangelistic, and more realistic approach to how RFID may be able to play a role within retailing, one that recognizes its limitations and plays to its identifiable strengths. The technology has also had the opportunity to gradually mature, away from the spotlight of unrealistic expectations, and begin to show how it can be used to help retailers resolve some of their ongoing and growing concerns. This can be seen particularly in parts of retailing that do not have a concentration of products largely made up of metals and viscous fluids, which have traditionally proved highly challenging for RFID to cope with. Retailers focused on apparel and footwear in particular have begun to use this technology to help them manage their supply chains more efficiently, using RFID’s capacity to bring transparency and ease of audit into the retail space. As pressures within retailing concerning competition and growing consumer demands for greater and more accurate availability have increased (particularly with the growth of omni-channel), then some companies have begun to invest in RFID to help them respond. While we are still some way from RFID becoming “bigger than the Internet,” it would seem that a more gradual and incremental introduction into retailing is underway, one that recognizes its weaknesses but at the same time is beginning to take advantage of developments in the technology. What is the business context within which some retailers decide to invest in RFID? How do these companies begin their RFID journey? What steps do they follow when undertaking a trial? In what ways do they measure the impact of RFID, and what have they found? How do they begin to roll it out to the rest of the business? How have they dealt with the key challenge of integration? What role, if any, can RFID play in managing loss prevention? What lessons have these companies learned on their RFID journeys? How might they be planning to use this technology in the future? Collectively, these companies have total sales in the region of €94 billion (~$106 billion) a year and purchase at least 1.87 billion RFID tags a year, equivalent to the use of about sixty tags per second. As with any research, there are limitations in what can be achieved and presented. While this research attempted to offer an independent and critical review of the use of RFID in the retail sector, the case-study selection process needs to be taken into account when reviewing the findings. Because of the chosen selection criteria and the challenge of obtaining retailer support, no companies are represented that have trialled RFID and decided against rolling it out-the views of these types of companies are absent from this research. In addition, there are some companies that have adopted a different approach to using RFID than those represented in this research, namely using a hard tag variant applied either at the point of manufacture or later in the supply chain. While one of these companies was approached to take part in the research, they declined, so it is not possible to include their experiences and views of using RFID. As such, it is important to recognize that the general approach adopted by these ten companies is not necessarily representative of all retail companies that are now using RFID. Presented below are the headline results from the research. For a more detailed review of the findings, a free report is available (details of how to receive this can be found in the full version of this post at “RFID and Retailing“). Driving Sales. The primary goal of investing in RFID was to deliver improvements in inventory visibility and accuracy, which in turn would grow sales. Optimizing Stock Holding. Respondents also recognized the potential of RFID to enable them to optimize their stock holdings, reducing capital outlay and improving staff productivity. Fewer Markdowns. Most case-study companies regarded RFID as a key tool in helping to reduce the amount of stock they offered at discounted prices. Helping to Drive Innovation and Business Efficiencies. RFID was frequently viewed as part of a broader organizational change project focused on putting enabling technologies in place to drive transformational change to achieve future success. Recognizing the Omni-channel Imperative. This technology was viewed as a key driver in developing the capacity to deliver a profitable omni-channel consumer experience-in effect the organizational “glue” that will hold together much of the architecture of 21st-century retailing. Increase in Sales. Seven of the ten case studies shared data showing a sales improvement in the range of 1.5 to 5.5 percent. For SKUs identified as being out-of-stock by RFID systems, the growth was even higher. Based upon this data, the ten companies taking part in the study may have realized an RFID-driven sales uplift of between €1.4 and €5.2 billion. Improved Inventory Accuracy. Companies typically had an improvement from 65-75 percent to 93-99 percent. Stock Availability. Some of the companies taking part were now finding SKU availability in the high 90 percent region. Reduced Stock Holding. One-half of the case-study companies shared data on this measure, indicating a stock reduction of between 2 and 13 percent. Lower Stock Loss. One company suggested that their shrinkage losses had been reduced by 15 percent. Reduced Staff Costs. One company had measured a saving equivalent to 4 percent of their store staffing costs, which if rolled out across the case-study companies would be in the region of €378 million. Return on Investment. All ten companies were unequivocal in their assertion that the ROI had been achieved, and based upon their trial experiences, further rollout across the business was fully justified and embraced by the rest of the business, often with considerable enthusiasm and optimism. Check out the full article, “RFID in Retailing,” to discover lessons learned from the research and instructions on how to access a free copy of the comprehensive report. Which Retail Loss Prevention Solutions Stand the Test of Time?